This entry was posted in Collecting Tips on February 13, 2019 by Mike DeChellis. 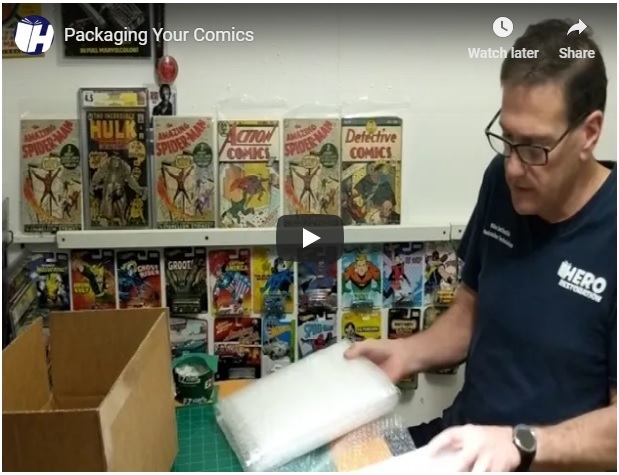 Rough draft video explaining best way to package your comic books to ship to us. This entry was posted in Comic Pressing on September 18, 2018 by Mike DeChellis. Hi everyone, sorry it’s been so long since my last post. I have been posting on Instagram, and Facebook, and neglected to include those post here. Here’s a mangled New Mutants 87 I pressed, enjoy! This entry was posted in Comic Pressing on December 24, 2016 by Mike DeChellis. Amateur embossing is one of the toughest pressable defects to remove. Even if it is flat and flush, there are usually signs it was there, like stress lines from damaged fibers. 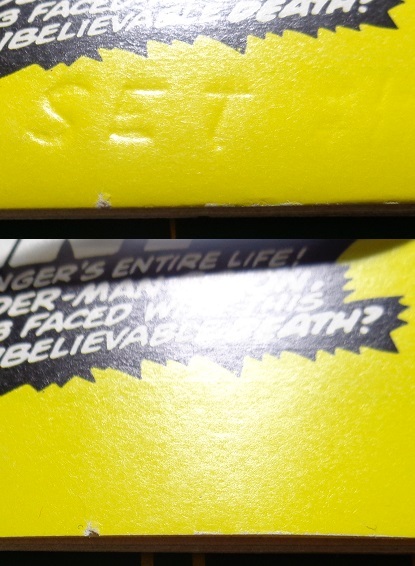 I previously posted an Amazing Spider-Man #129, on that book the embossing came out 100%. 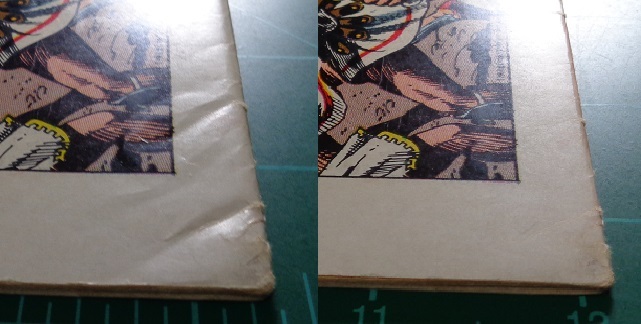 On this Fantastic Four, the paper is nearly flattened 100% of the embossing, and in many places paper fiber damage is not visible. 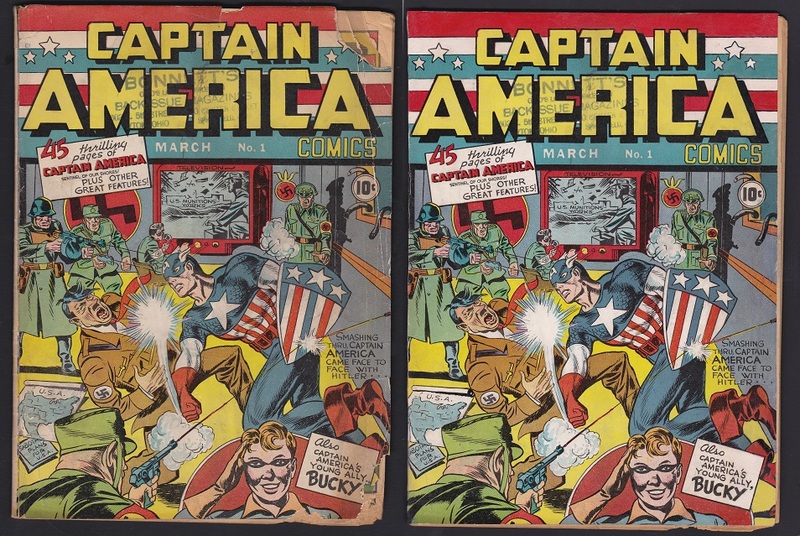 While this before and after is not a perfect example, it shows that Hero Restoration can give the book that extra needed to get the best grade bump possible. 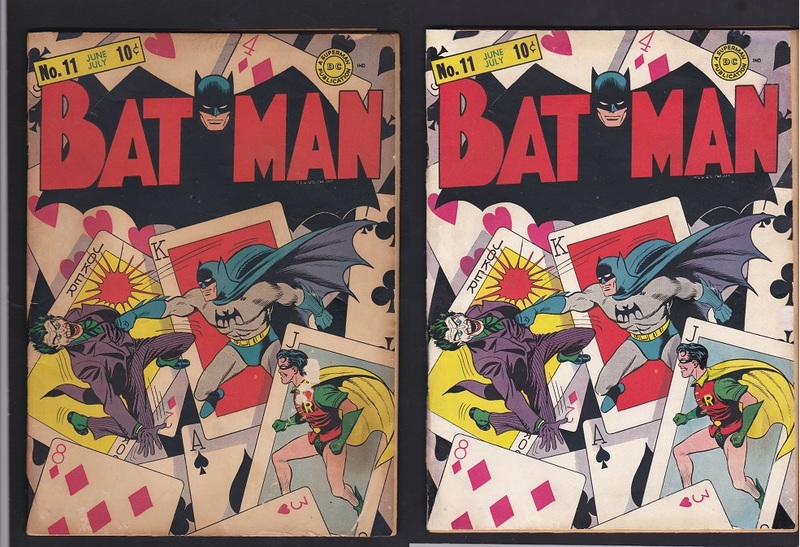 This entry was posted in Comic Restoration on December 24, 2016 by Mike DeChellis. Hi everyone, This Journey Into Mystery #83 needed a little bit of everything. An unhealthy amount of tape was removed, along with a moderate amount of amateur color touch (existing color touch was main motivation to have restoration work done). Then there were extra staples, pieces missing, and a little art missing as well. Pages needed work too, and it was requested to have them lightened. 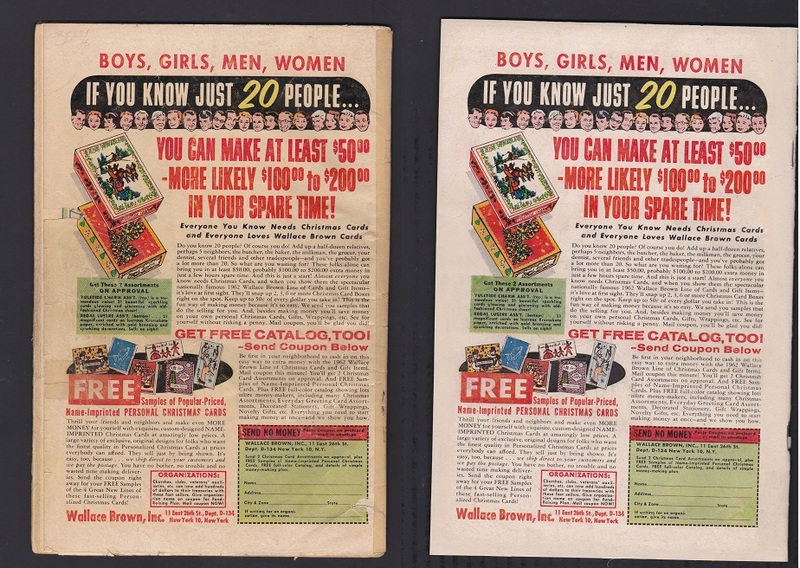 Employing the “less is more” method was difficult in some areas, the reds were in bad shape, and the word bubble dark blue also once the amateur color touch was removed. I think we found a good balance between the books grade, while keeping as much natural look and feel as possible. This entry was posted in Comic Pressing and tagged CBCS, CGC, comic book pressing, comic pressing on November 23, 2016 by Mike DeChellis. This Giant Size X-Men exhibited a very rare defect. The paper had bubbled out on both sides of the the paper, causing the paper to separate internally. It is speculated to be caused by a organic solvent splashing onto the surface. Removing this type of defect is difficult, especially in the middle of the cover. Fortunately, with our advanced pressing techniques we were able to completely remove the defects. Speaking of which, one of our clients asked me, Mike, why do you take the pictures in such bright light, and at a low angle. I explained to him that I want everyone to see there is no trace of the defect after pressing, taking pictures in lower light, or from top down steep angle hides slight defects, and misleads readers. 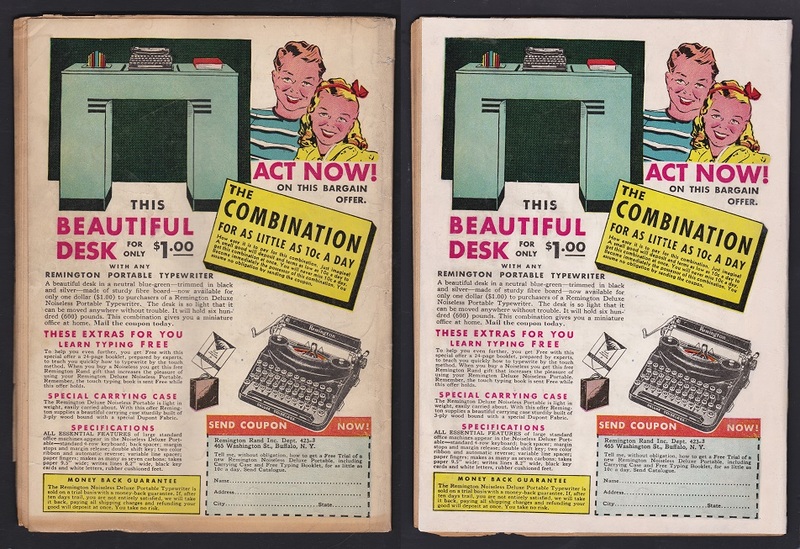 This entry was posted in Comic Restoration and tagged CBCS, CGC, comic book pressing, Comic book restoration, comic pressing, Comic restoration on September 6, 2016 by Mike DeChellis. 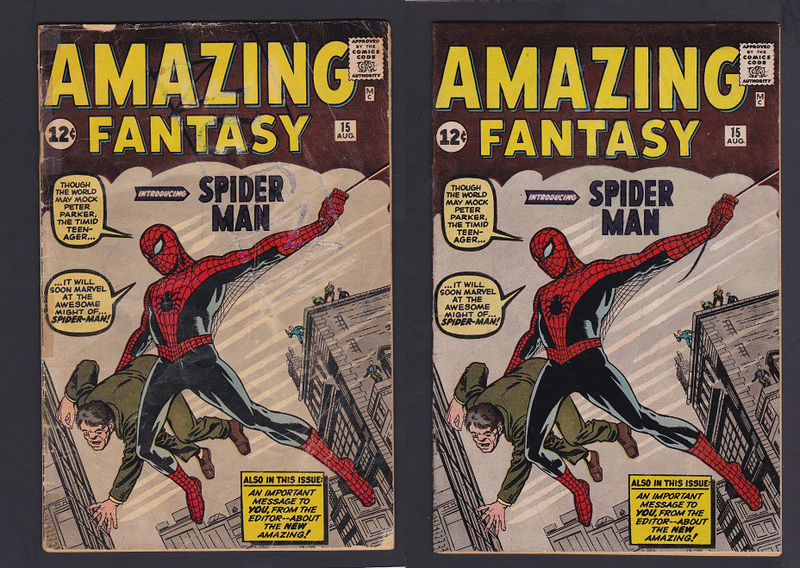 This Amazing Fantasy #15 was a real challenge. Tape removal, large tears, writing on front cover, and bad attempts to remove it. Matching the grey background was especially difficult. For those of you that are unaware, the grey background is made from black dots, and the white paper. 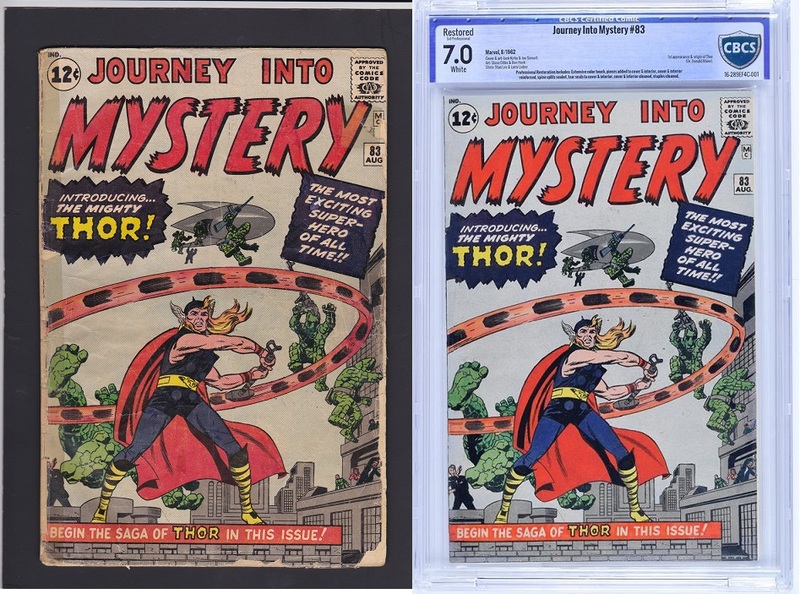 This entry was posted in Comic Pressing and tagged avengers, CBCS, CGC, comic book pressing, comic pressing, comics, Marvel Comics, pressing techniques on April 14, 2016 by Mike DeChellis. Well shoot, I cannot believe it is half way through April already. I would have posted sooner, but have been very busy keeping our pressing schedule on time. Today I have a book that has cooled off some, but Avengers #54 is still a common book to press here. This copy got hit very hard down at the corner of the spine, but looks like it cleared up with our advanced pressing techniques. 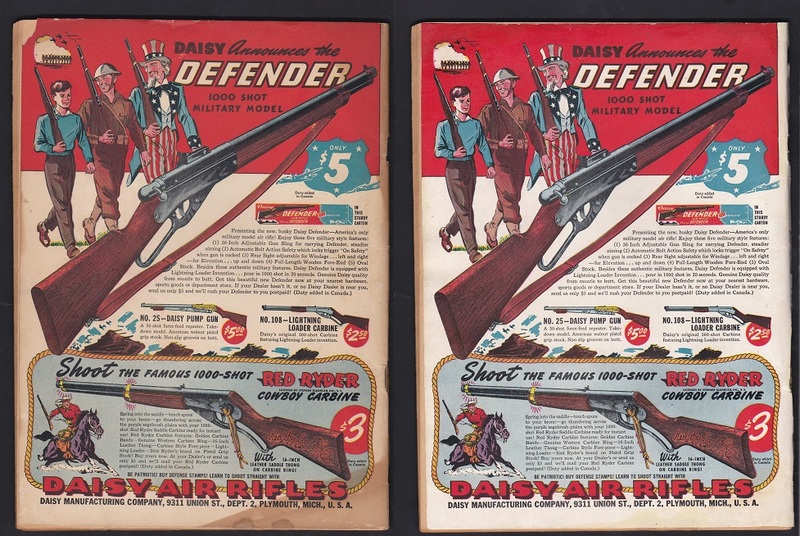 This entry was posted in Comic Restoration, General News on February 3, 2016 by Mike DeChellis. It has been a while since we have posted a book, and wanted to catch you all up. 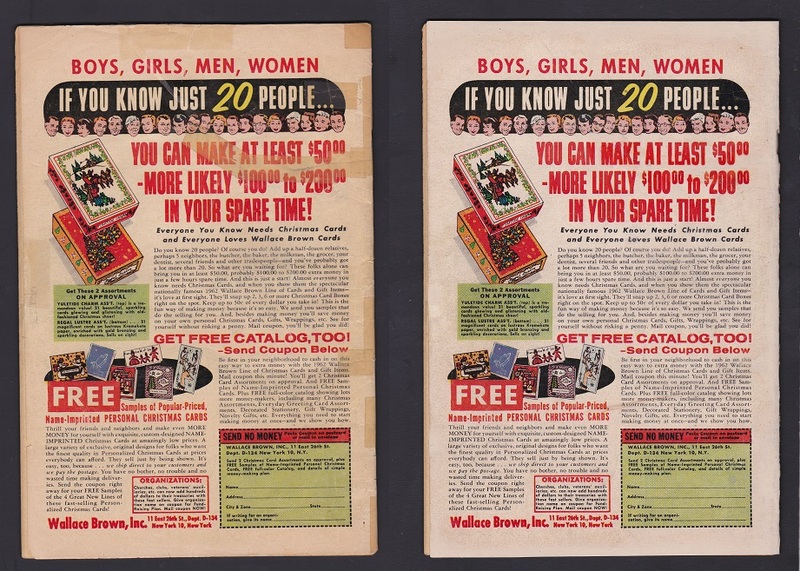 As some of you know, we got way behind in the pressing dept. We have expanded, and put in tons of overtime, and the results are that we are 2 weeks ahead of schedule! This won’t last long with Con season right at our doorsteps, but it does give us hope that we can stay on time throughout 2016! Thanks to everyone for their patience, now on to the books. Three iconic characters on the cover, and three major things wrong with the cover. First is obvious, terrible stains likely due to smoke damage, although the book did not have an odor, thankfully. The stains were on the cover only, another relief. The second problem and you will notice if you look at it long enough, is what appears to be a tape pull on Robin, but wait, the fun isn’t over, the cover is also completely split! 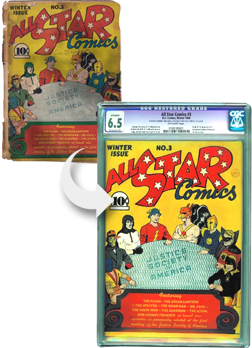 This entry was posted in Comic Pressing and tagged CBCS, CGC, comic book pressing, Comic book restoration, comic pressing, Comic restoration on November 10, 2015 by Mike DeChellis.